There's a common bit of folk wisdom that being physically cold triggers the onset of common cold symptoms. How much of this claim is the truth? And how much is fiction? Let's start by stating the obvious. Does being cold cause colds? No. Strictly speaking, this is bogus. Viruses cause colds, and those viruses typically belong to a class of infectious agents known as rhinoviruses. We know a lot about rhinoviruses. We know about their evolution – how they've adapted to become more virulent, and remixed segments of their genetic code to spread, with great success, to every continent on Earth. We're familiar with their structure – icosahedral and symmetric, like a soccer ball. But we also know that colds brought on by rhinoviruses are most common in winter, that rhinoviruses thrive in low temperatures, and that they infect the body's upper respiratory tract (a cooler environment than the lungs) – all of which points toward some relationship between temperature and virulence, or temperature and susceptibility to infection. And yet, studies that examine the link between temperature and cold-infection are often contradictory. A study published in 1968 in the New England Journal of Medicine "demonstrated no effect of exposure to cold on host resistance to rhinovirus infection and illness that could account for the commonly held belief that exposure to cold influences or causes common colds." A study published in 2005 in the journal Family Practice, on the other hand, found that healthy test subjects who dipped their feet in ice water were more likely to self report the onset of common-cold symptoms in the days following "accute cooling of the feet." Although not all studies agree, most of the available evidence from laboratory and clinical studies suggests that inhaled cold air, cooling of the body surface and cold stress induced by lowering the core body temperature cause pathophysiological responses... which are responsible for increased susceptibility to infections. Foxman and her colleagues studied mice susceptible to a mouse-specific rhinovirus. They discovered that at warmer temperatures, animals infected with the rhinovirus produced a burst of antiviral immune signals, which activated natural defenses that fought off the virus. But at cooler temperatures, the mice produced fewer antiviral signals and the infection could persist. The researchers then grew human airway cells in the lab under both cold and warm conditions and infected them with a different rhinovirus that thrives in people. They found that warm infected cells were more likely than cold ones to undergo programmed cell death — cell suicide brought on by immune responses aimed at limiting the spread of infections. 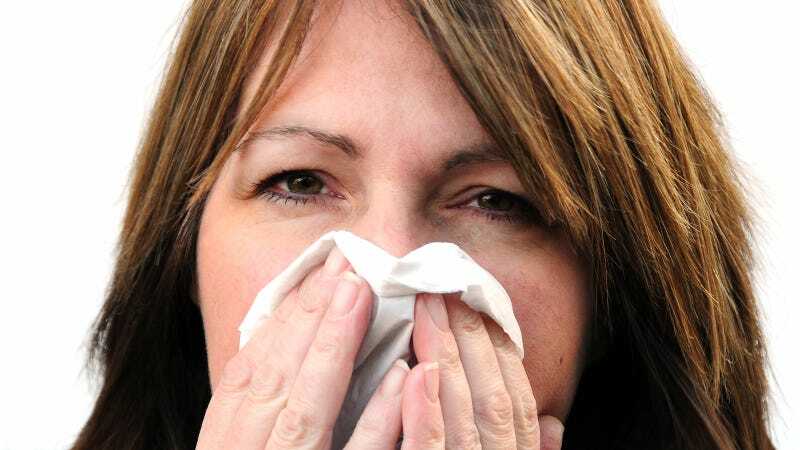 The data indicate that immune reactions to rhinovirus infection are, in fact, temperature-dependent – results Foxman claims account not only for rhinoviruses' success at lower temperatures, but the seasonality of the common cold, in general. And while it would be wise to hold off on judgment until these findings are published in a peer-reviewed journal (Foxman's team's results were presented at a conference of the American Society for Microbiology), they certainly seem cogent to us. Far from the full story, obviously (mice ≠ human; human airway cells grown in a dish can only mimic an actual respiratory tract with so much integrity; and the actual circumstances surrounding infection are obviously more complex than those encountered in a lab setting), but certainly compelling.